Many people, indeed many engineers, who are not familiar with the subject think that constructing a bridge across a river is entirely a problem in structural engineering. 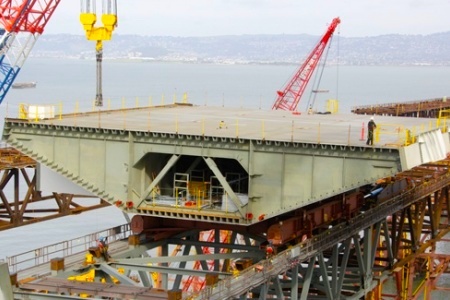 They assume that the bridge opening can be made so large that it will completely span the river at such a height that floodwater will never rise anywhere near the deck. If this was always true there would be little need to study bridge hydraulics, but in reality things are rarely this simple. Economics often dictate the length of span and therefore how many piers have to be located in the river. Similarly economics, the geography of the site or the nature of the crossing (such as a railway line with a fixed vertical profile may impose some restriction on the maximum permissible elevation of the deck. Consequently flood levels may rise to deck height or above. What initially appeared to be an elementary problem turns out to be quite complicated. So why study bridge hydraulics? Nobody can be allowed to build a new bridge that has piers and/or abutments in a river without first being able to prove by calculation or modeling that the resulting backwater will not cause, or significantly exacerbate, flooding of land and property upstream. This is becoming increasingly important as the demand for building land leads to construction on river flood plains that, by definition, are already prone to flooding. At locations where there is an existing bridge and significant flooding, an analysis may be required to determine how much of the flooding is caused by the bridge and how much by other factors such as simply too much floodwater to be carried within the river channel. If the analysis shows the bridge to be at fault, then this may be sufficient justification to construct a new structure. If it is known that a bridge provides a significant obstacle to flow and is responsible for much of the flooding that occurs, with a knowledge of bridge hydraulics it may be possible to design improvement works that will help to alleviate the problem. In addition to the nature and geometry of the river channel, the shape, spacing and orientation of the bridge piers and abutments will affect the flow through a bridge and the likelihood of scouring of the bed. Well designed bridges are not immune to this problem, while bridges that are badly designed hydraulically are even more likely to fail and collapse. How can a good design be obtained without a knowledge of bridge hydraulics?